Lt General Satish Dua expressed his grief at the demise of former Defence Minister Manohar Parrikar. Lt General Dua was the architect of Uri Surgical strike that changed the way India dealt with Pakistan. Recalling Manohar Parrikar he said that India has lost a true leader. But it is today that he revealed how Manohar Parrikar played his part in the Uri surgical strike. 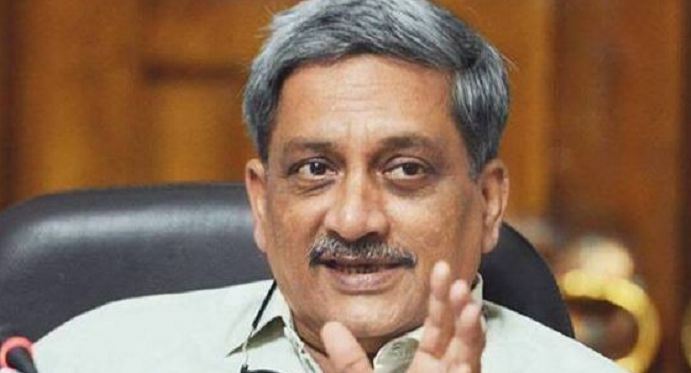 He said that the Defence Minister Parrikar met him just hours after the suicide attack at Uri and while sitting in Lt General’ office itself he gave a go-ahead for the surgical strike. His boldness led to the launch of surgical strikes in JUST 10 DAYS. Yes, JUST 10 DAYS. ‘As I flew to Srinagar a day after demise of Manohar Parrikar couldn’t help recalling how he landed here just hrs after suicide attack at Uri & how sitting in my office he gave go ahead for a bold riposte. We launched #SurgicalStrikes in 10 days. As I flew to Srinagar a day after demise of @manoharparrikar couldn't help recalling how he landed here just hrs after suicide attack at Uri & how sitting in my office he gave go ahead ahead for a bold riposte. We launched #SurgicalStrikes in 10 days. While Pakistan even now denies Uri strike, it was quick to whine about Balakot surgical strikes, in fact, it was Pakistan that came out that Indian Air Force planes reached as far as Khyber Pakhtunkhwa. In short, India killed its policy of strategic restraint at Uri while in Balakot it just buried it deep, very deep and part of the credit will always rest with Manohar Parrikar.